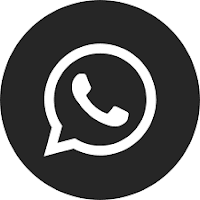 Hello friends, Today I am gone show you an interesting article about How to Send Blank Message On WhatsApp to your friends or family for fun. Sent is very easy to use the app. With just one tap you can send an empty message to your WhatsApp Contacts. There is an awesome app in Google Play called No word Android App. Using this app you can fool your friends on WhatsApp. You can annoy your friends by sending them empty messages. This is an awesome WhatsApp trick you can play with your friends. Hope you enjoy this trick. Now choose the person or group you want to Send Blank Message On WhatsApp. That's it! Blank message successfully send. Then press "ALT + 255" or "ALT + 0160" key. Now save the file and copy in your android phone. Now the "Notepad file on your android phone", copy the blank space and paste it on WhatsApp. Thus, I have shared all the method to Send Blank Message On WhatsApp. If you want to make money using WhatsApp read this Guide Make Money on WhatsApp or if you need to create a fake account on WhatsApp read this Guide Create Fake Whatsapp Account. I hope you like this post guys. If you have any question please let us know in comment section we will reply soon as possible.